Editors at the New York Times had to correct the framing of an article Friday that seemed to imply a Trump administration official had purchased expensive curtains for a government residence, even though the window treatments were ordered by the Obama administration. The Times story, which went viral Friday, focused on U.S. Ambassador to the United Nations Nikki Haley’s residence in New York City getting expensive curtains. 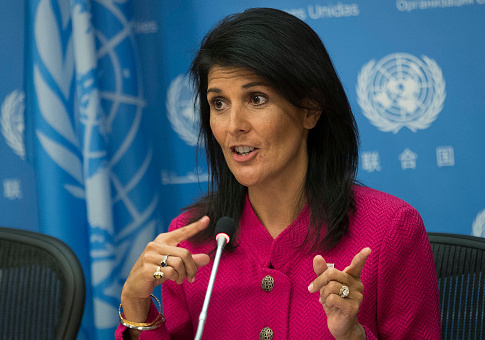 The online headline many clicked on read, "Nikki Haley’s View of New York Is Priceless. Her Curtains? $52,701" next to a picture of Haley, but the curtains were ordered in 2016 as part of the work being done on the new official residence. 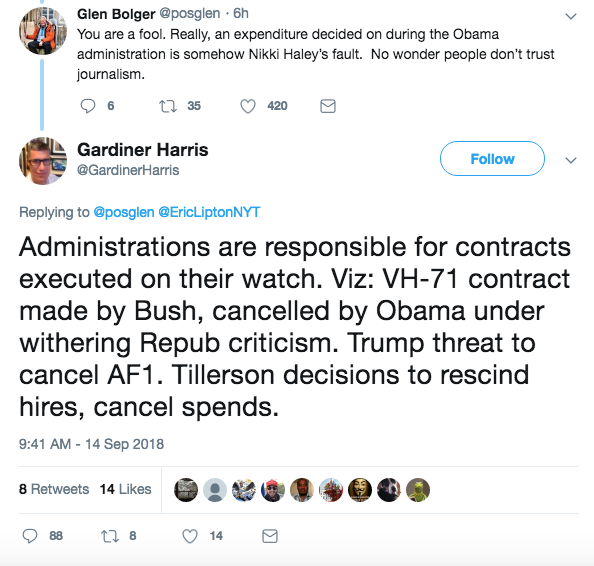 In the second half of the original article, author Gardiner Harris explained how Obama officials made the order as part of setting up the new residence, but not all readers took notice and the article’s headline and picture appeared to say the opposite. Friday afternoon, the article was changed and Times’ editors affixed a note at the top saying the original was "unfair." "An earlier version of this article and headline created an unfair impression about who was responsible for the purchase in question. While Nikki R. Haley is the current ambassador to the United Nations, the decision on leasing the ambassador’s residence and purchasing the curtains was made during the Obama administration, according to current and former officials," the note reads. The note states the Times should not have focused on Haley. "The article should not have focused on Ms. Haley, nor should a picture of her have been used. The article and headline have now been edited to reflect those concerns, and the picture has been removed," the note concludes. The new headline reads, "State Department Spent $52,701 on Curtains for Residence of U.N. Envoy." The original story stoked outrage and led to numerous comparisons of Haley to corrupt past officials who used government funds to improve their lifestyles. 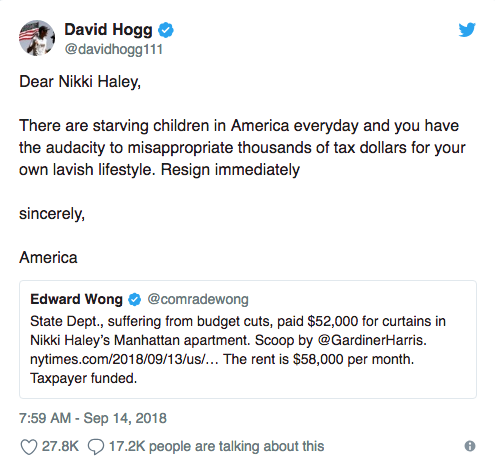 Critics, such as gun-control activist David Hogg, called for Haley to resign. Many on Twitter objected to the Times’ framing, eventually leading editors to take action. Before the change was made, however, Harris explicitly stood by his original framing, saying in his last tweet on the topic that Haley was "responsible" for the curtains. The residence on Manhattan’s First Avenue was leased by Obama’s State Department in 2016 after the U.N. delegation chose to leave the Waldorf Astoria, a world-famous luxury hotel. Haley had no say in the purchase of the curtains or the choice of residence, according to a spokesperson for Haley. Both the residence for the U.N. ambassador and the deputy ambassador are used for official entertaining. The deputy’s residence, for instance, served as the location for Secretary of State Mike Pompeo’s steak dinner in May with Kim Yong-chol, North Korea’s top nuclear weapons negotiator. This entry was posted in Politics and tagged Media, New York Times, Nikki Haley. Bookmark the permalink.